DON'T YOU WORRY ABOUT A THING! Broke your Samsung Galaxy S2/S3/S4/s5/S6? or Samsung Galaxy Note 1/ Note 2/ Note 3, Smashed LCD, water damage, or charging problems? We Can Fix it TODAY! Shattered or cracked your Samsung Galaxy note and looking for a reliable service to fix it for you? If you are not sure how to perform a DIY repair then you better not try it just call us @ 647-478-5811 Samsung Galaxy Note Repairs Offered By Samsung Phone Repair. Samsung Galaxy Water Damage: This might surprise you but water damage is one of the most common things we see here at Samsung Phone Repair. There are several companies that claim to offer great Samsung repair Mississauga services for Samsung device but they cannot match the kind of experience all of our technicians at Samsung Phone Repair have been working on damaged Samsung devices. Regardless of the issue you may be encountering, just know that the Diagnostic Service at Samsung Phone Repair can help you. Our certified Technicians are always committed to take a look at your Samsung device, whether you know what the real problem is. You have nothing to lose by trusting in the quality of our Samsung galaxy repairs Mississauga services. This is the most important factor to consider when finding a reliable service. Do not be afraid of asking the repair company of your choice what kind of Samsung parts Mississauga parts they use or where they get them from. While you can find high quality Samsung parts on popular online stores for a higher price tag, this is not normally a route that any reputable company would want to take. Samsung Phone Repair is the leading Samsung store Mississauga that offers great deals depending on how much we have on any given month. The more orders you make, the higher the discounts. Not even Amazon or eBay sellers do this or are set up for this. We are a reputable company that is concerned with offering top quality services over saving few bucks in return. We want you to get your phone back to its original working state. Great people! My BlackBerry Playbook screen was smashed and I thought I had lost it. Esource fixed it perfectly within a day! I dropped my Galaxy S4 and the display stopped working. I was worried I had lost all data. Esource did a remarkable job! Great value and service! I wasn't sure if my Galaxy Note 4 will ever work again after it was exposed to rain. Esource fixed it in a day! Highly recommended! If you want a quick and lasting repair and excellent service, Esource is the shop you go to. 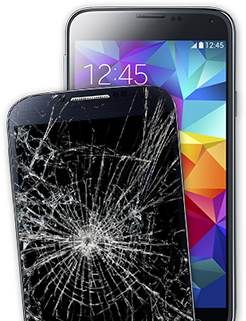 Tell us your problem and we'll give you the estimated cost and timeframe for your Samsung Galaxy, BlackBerry or other smart phone repair. Visit our shop at the time that suits you and drop your faulty gadget. You'll be told the exact cost of repair and pickup time. Most repairs take less than a day. Pick up your phone or tablet at the given time and get back online in a matter of hours!